add a message to the inside of the card? add a message to the inside of the card? (required)Yes please! (+ £1.50)No thanks! add a message to the inside of the card? (required)Yes please! (+ $2.72)No thanks! add a message to the inside of the card? (required)Yes please! (+ €1.77)No thanks! add a message to the inside of the card? (required)Yes please! (+ $2.17)No thanks! post direct to recipient? post direct to recipient? (required)Yes please!No thanks! post direct to recipient? (required)Yes please!No thanks! post direct to recipient? (required)Yes please!No thanks! post direct to recipient? (required)Yes please!No thanks! A contemporary typographic Brithday Card for your best ever Husband! Show your Husband just how special they are with this contemporary typographic design Birthday Card. 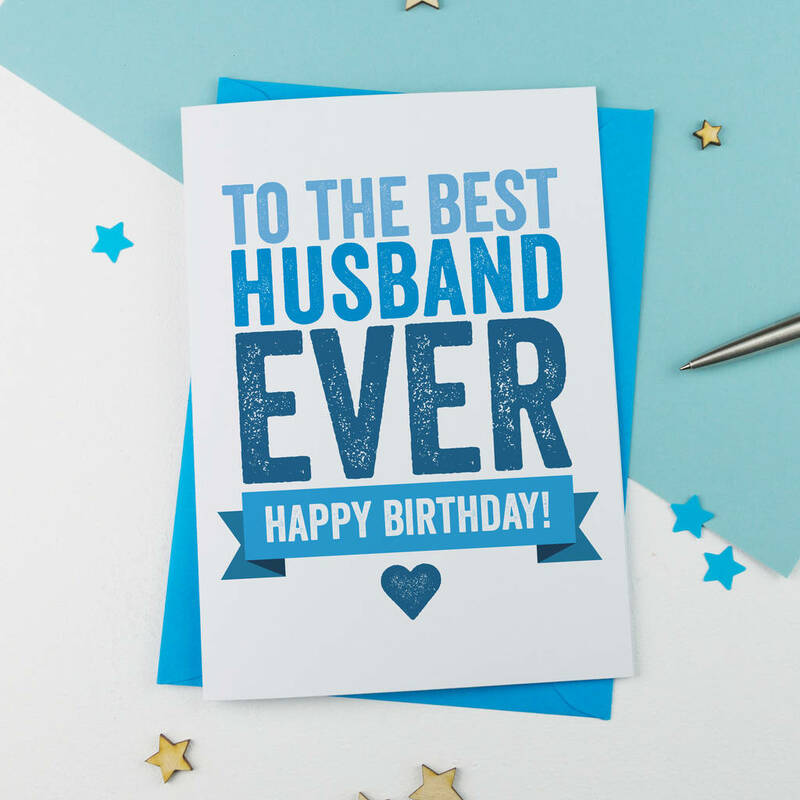 Don't just send hubby the standard old card for their birthday this year - our card is designed using screen-print-effect lettering for that bang-on-trend look and it delivers a simple (but very important) message! Our cards are supplied with a plain white envelope and are packed in cellophane to keep them looking great! All cards are posted in an A5 board-backed envelope to make sure they reach you in perfect condition! Printed on uncoated 300gsm heavy-weight card stock for a contemporary feel and finish. All our cards are printed in the UK on recycled cardstock from sustainable sources. 5" wide x 7" tall (when folded).